Obsidian Entertainment CEO Feargus Urquhart, along with the rest of the studio, have been very busy with Pillars of Eternity. Now that it's out, the Obsidian head reacts to the game's early success and talks about the game's upcoming patches, as well as its first expansion. In 2012, Obsidian Entertainment's Kickstarter for the Infinity Engine adventure code named Project Eternity brought in a whopping $4.1 million. Even with a clear fanbase that was starving for this game, Obsidian is still shocked by the early success of what would eventually become Pillars of Eternity. The final release of the game was a moment that Obsidian had been waiting years for and now that it's finally out, Obsidian CEO Feargus Urquhart took a moment to speak with Shacknews about finally reaching the end of the tunnel, the game's upcoming patches, and what else is on the horizon. "It's always a cross between this absolute euphoria that you've got a game out and people are enjoying it and that's tinged with the question of 'Now what are we going to do?'" Urquhart told Shacknews, regarding the current atmosphere at Obsidian. "That's where the excitement is and that's where this is different from a lot of other titles. This is something we now get to figure out what we want to do with. That's the cool thing. We have a brand ourselves now. Every time we launch a game, we always put our heart out there and hope people enjoy it, but with Eternity, it was more so, because it was our thing." 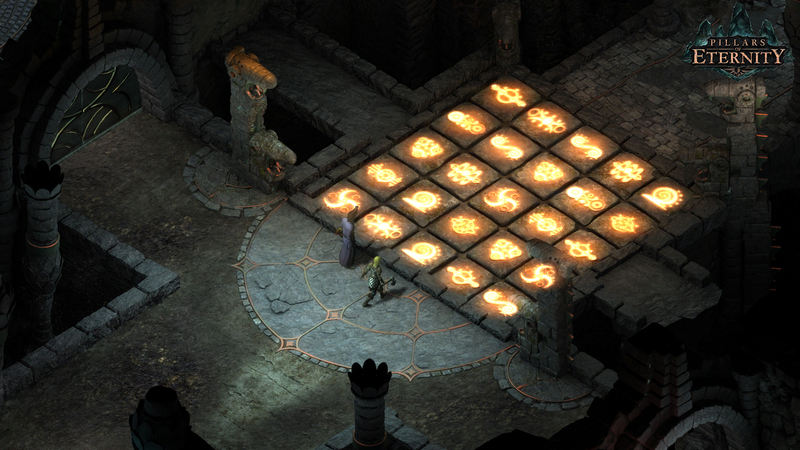 And while audiences have been enjoying Pillars of Eternity thus far, the ones that are arguably getting the most out of it are the ones that have grown up with classic RPGs like Baldur's Gate and Planescape: Torment. Urquhart is elated that he was able to craft something for that set of fans. "That's really the best thing to read, reading the reviews on Steam and Facebook from all these people that grew up playing those games, when Baldur's Gate first came out," Urquhart said. "Those are the best when we get those reactions, but also those that appreciate that it's the best of those Infinity Engine games, but also modern. We all have those games that's hard to go back to. I'd like to go back to games like the original Wasteland, but it's kind of hard. They were great, but now it's hard to go back and get into that mode of play. And I think that's where people are really appreciative, that they can have this experience again, but with a more modern take." Urquhart fully recognizes that even though the game is out there, there is still work to be done. That includes upcoming patches, with Urquhart noting that 1.05, in particular, set to introduce some quality of life improvements. This includes allowing players to change portraits, balance tweaks, and other adjustments based on player feedback. The big takeaway from the call, however, is that Obsidian is already hard at work crafting an expansion for Pillars of Eternity. In fact, Urquhart offered a reminder that an expansion was always planned since the game's Kickstarter. The only thing that's changed is the manner in which it will be issued. "We've always been planning to do an expansion and the way we're really looking at it is that it needs to be a meaty expansion," Urquhart explained. "It needs to be this old-school expansion, not some DLC that's two or three hours of gameplay. What it looks like we're going to do, because this kind of expansion can take a while, we're going to split the expansion into two parts. It's going to be one full story that will go from part one to part two, but it's going to be two parts and anyone from Kickstarter that contributed will get both parts. They'll get the full expansion, but the best part is that they'll be able to play it early. We should have an announcement coming up soon." It's no secret that Pillars of Eternity helped saved Obsidian from the brink, as they themselves indicated in a behind-the-scenes video. But now with Pillars of Eternity and last year's South Park: The Stick of Truth, the future looks bright. Urquhart credits much of the studio's success to the hard-working development team, including Adam Brennecke and Josh Sawyer, who he says originally came up with the Kickstarter idea for Pillars of Eternity. However, Urquhart knows that the key to continued success is to continue putting out the best games they're capable of putting out, while keeping its fans in mind. With that said, the studio will be supporting Pillars of Eternity in the coming months, while also preparing to issue out the free-to-play tank game Armored Warfare (with a beta set to hit Russia soon, followed by a North American arrival) and an unnamed project set to be announced in the future. I would back the expansion without a second thought. Same here, although if you backed the base game apparently you're getting the expansions for free, assuming I'm reading his quote correctly. It's going to be one full story that will go from part one to part two, but it's going to be two parts and anyone from Kickstarter that contributed will get both parts. They'll get the full expansion, but the best part is that they'll be able to play it early. We should have an announcement coming up soon. It was a higher tier, but it was indeed there. Nice, couldn't remember if it was in the original pitch or not. Ah, higher tier that makes more sense. I'll probably back the expansion anyway. That would be cool, I didn't even realize that was part of the original Kickstarter. It wasn't thrown in until the very last week. Where's 13th Level Cleric?!? Jabby needs to work on the expansion! Level 12 is the cap in PoE, RIP Jabby, should have added an extra level to the cap. You all deserve the best. I love that Feargus credited you and Josh Sawyer with the Kickstarter idea. Good on you, man! Best LOL worthy post this year. Obsidian has been one of my favourite studios since its inception. They deserve all the success they're getting. I've bought everything they've made on release. Also...I miss Troika, so I'm glad that a lot of the current Obsidian folks are from Troika, too.